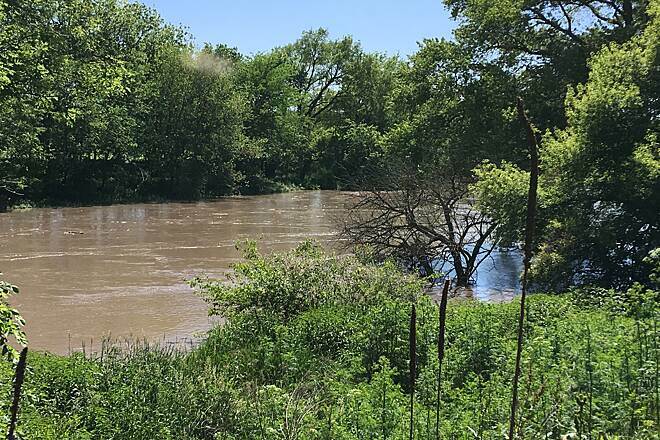 The Chief Standing Bear Trail spans 22.9 miles from the southeast Nebraska town of Beatrice to the Nebraska/Kansas state line. 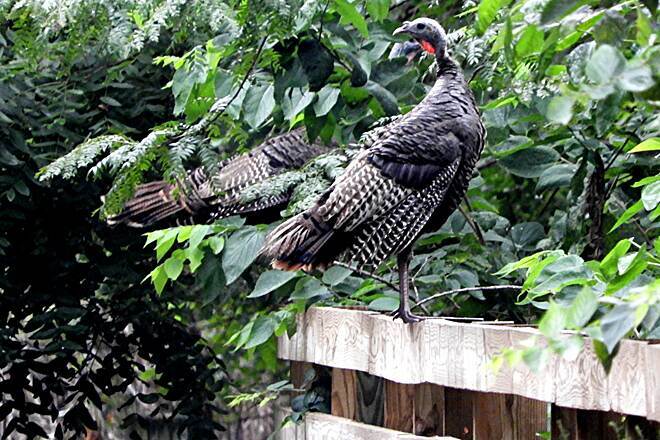 It's named after a Ponca chief and the Ponca Tribe of Nebraska owns the trail. 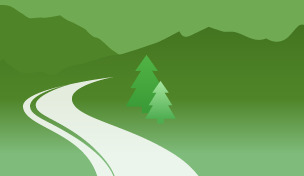 The Homestead Conservation and Trail Association maintains the route. 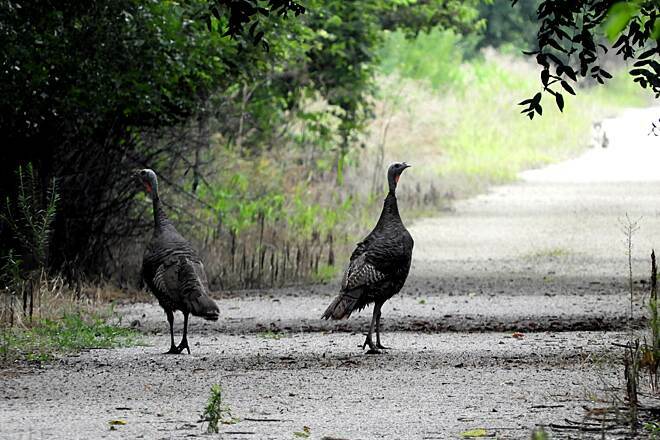 The crushed-stone pathway follows the Blue River through a mix of rolling farmland, native prairie grasses and lush tree-canopied sections, where you might see deer, hawks, raccoons, wild turkeys and other animals. 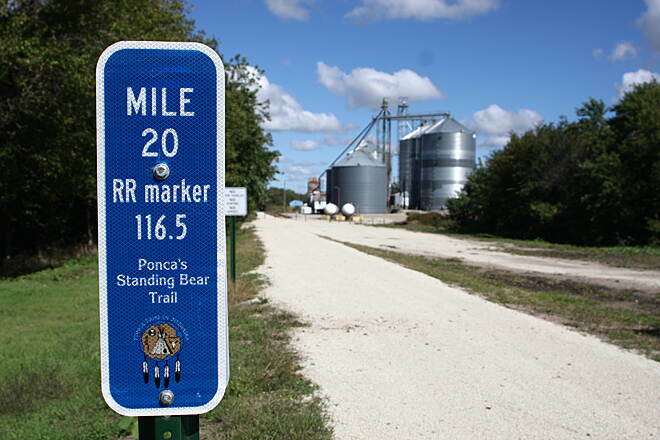 Trailheads in Beatrice, Holmesville, Blue Springs and Barneston offer signage on the local wildlife, pioneers and the Ponca Tribe. 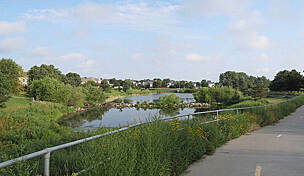 On the trail's north end in Beatrice, it will connect to the Homestead Trail, which travels 40 miles north to Lincoln. 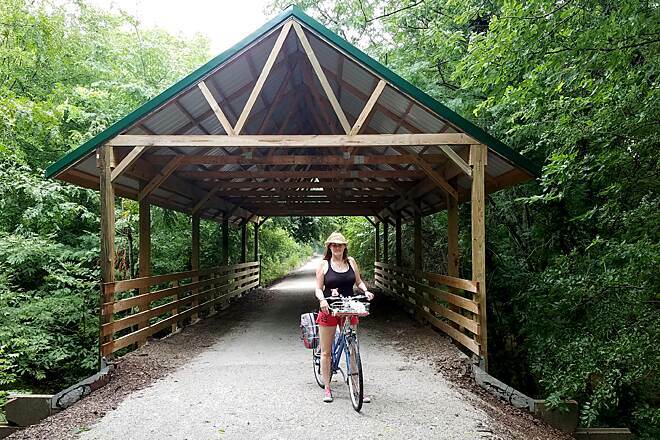 The southern end of the Chief Standing Bear Trail connects to another rail-trail over the border; the Blue River Rail Trail heads south along the same former railroad corridor for nearly 12 miles to Marysville, Kansas. 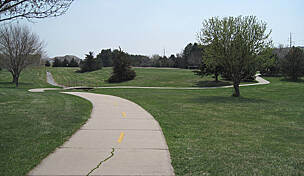 At the trail's northern end in Beatrice, parking is available at the trailhead for the Homestead Trail at the intersection of Court Street and 2nd Street. In Holmesville, parking and restrooms can be found on E. Linden Road. 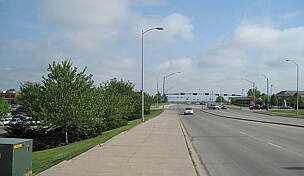 The same are available on E. Borad Street and S. 59th Street near Blue Springs. 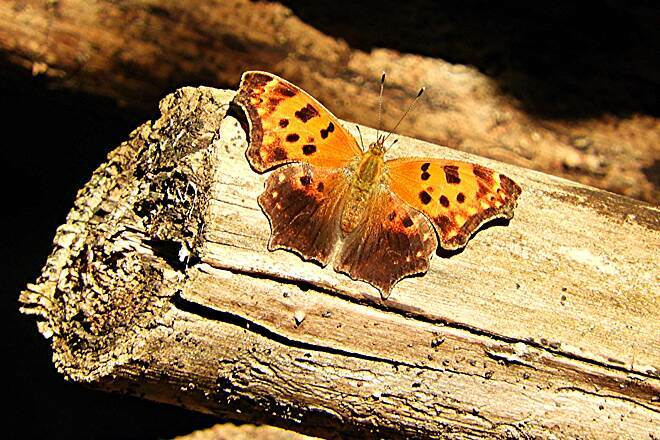 Towards the trail's southern end, trailside restrooms are available just south of Barneston. A campground will also be constructed there in the future. 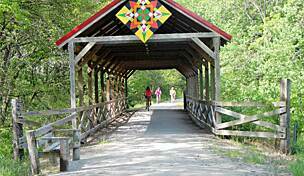 This is a great trail for walking and exploring! I have been walking this trail for years, long before it was a trail! 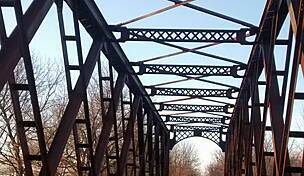 I used to hunt and explore this area when there was railroad tracks and trains still running on it! 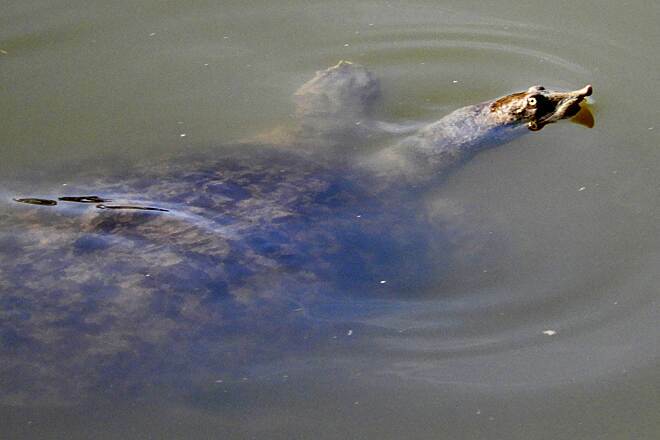 If you're adventurous enough get off the trail and explore the river! 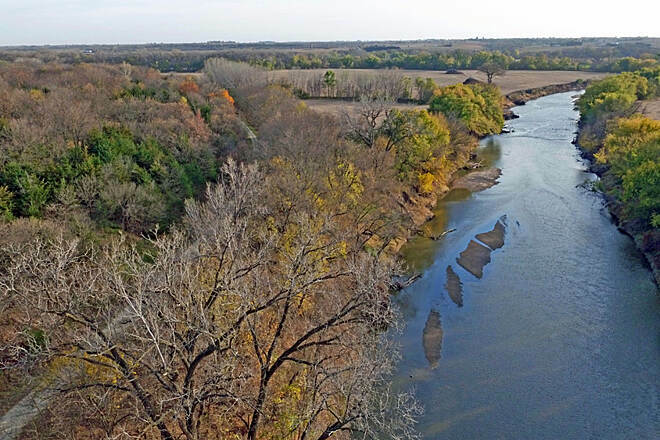 You'll find remnants of and old dam and one of the biggest cottonwood trees in southeastern Nebraska! 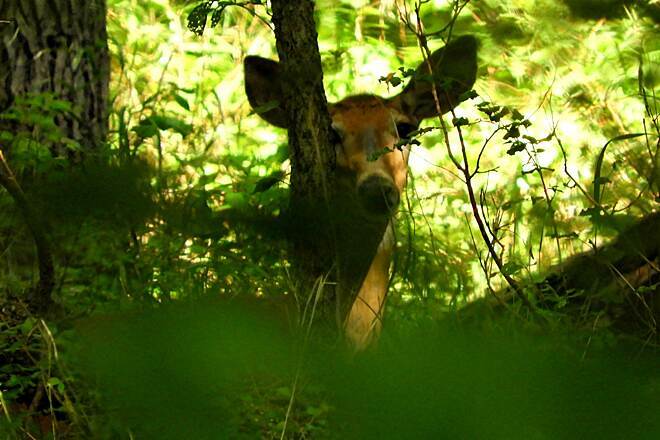 If you're lucky you'll see deer, bluebirds and other fur and fauna! A great place to take kids to explore! 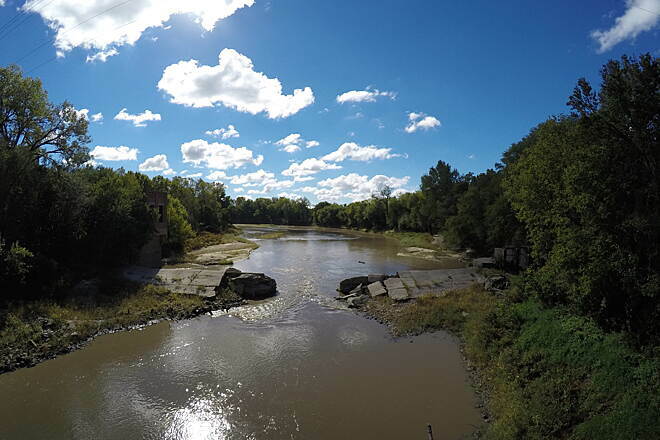 One of the best place to begin your adventure is on South 11th Street north of the river in Beatrice! I went from Blue Springs to Barneston earlier in the year. Good shade and views from BS to the Blue river crossing West of Liberty. From there to Barneston, the first few miles is nice then a mile or so stretch that is open so be careful in the summer! Just rode from Barneston to Oketo yesterday. The ride was great. Smooth and scenic, especially the first few miles south of Barneston and at Oketo. Nice rock formations and views of the river. Shady for the most part. We were visiting family in Beatrice and, almost literally, stumbled onto the trail running towards Holmesville. We rode the near to town parts of it, for about 5 miles and really enjoyed it. I thought it was well put together and, except for twigs and leaves, very clear. I would have loved to ride all the way to Marysville, but didn't have enough time. On future visits here, I'll be sure to go further. Trails like this a worth having, keeping and using. Rode this as part of a trip from Marysville to the north side of Lincoln last Saturday (8/27/16). 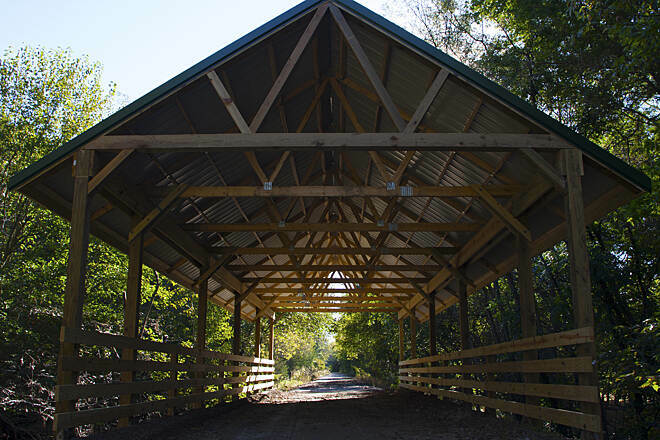 There is a newly-completed trailhead and Barneston with water and bathrooms, and several others that were under completion along the route. Fortunately I had a map to get through Beatrice as it currently isn't clear how to get from this trail to Homestead trail. 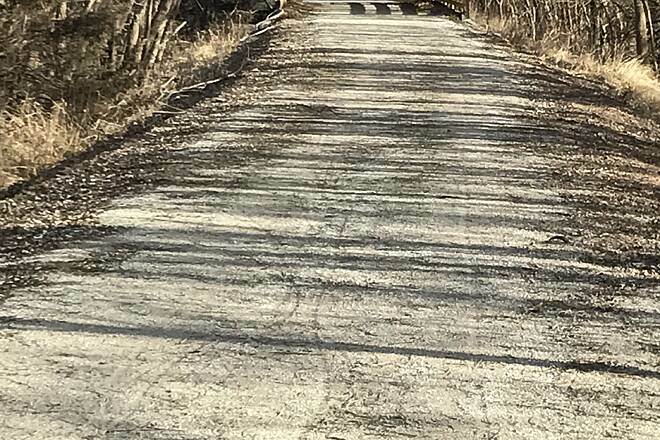 Overall, this trail is very nice, except for a few miles just south of Beatrice where they have attempted to overlay the trail with some sort of crushed gravel slurry, and it is very, very rough! It looks great, but will shake out your teeth fillings. Hopefully they will fix that soon. Otherwise, this is shaping up to be a very nice trail! Reading earlier reviews, and looking at maps, I decided to catch the trail at the S foot of S 10th Rd. S 10th Rd is just E of the intersection of Court St and Scott St, N of the high school. The trail is unimproved here, think double-track, with significant vegetation in the middle. 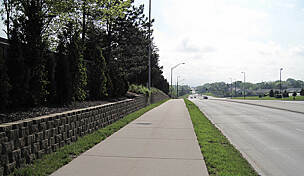 Yes, as said before, persevere through this one mile section, because it gets a lot better. It's this part that keeps me from giving this trail five stars. This is one of two instances (see my review of the Jamaica North Trail) where trail conditions were worse closer to the populated areas than in the rural areas. There's a cable across the trail where it becomes very sweet packed gravel rail-trail, at N40° 14.88 W96° 41.49. 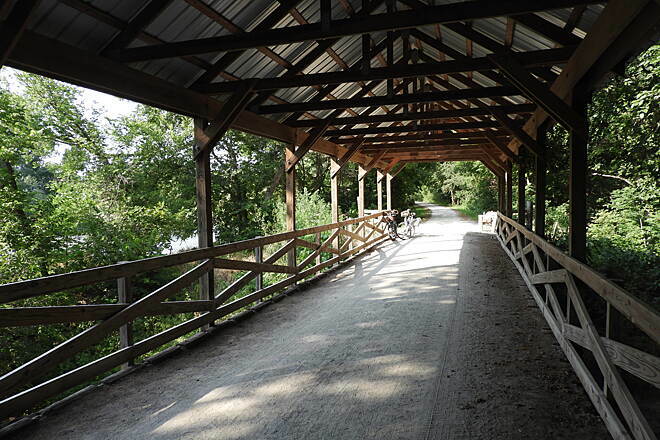 The twenty miles from here to the KS border, where this trail joins the Blue River Trail, is excellent. 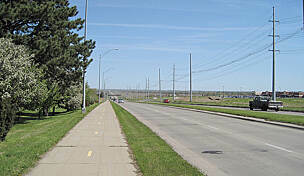 On the way back, based on a conversation with another rider, I continued past the S 10th Rd junction to the N terminus of the trail at S 11th St., at N40° 15.44 W96° 44.40. This 1.7 mile section was very rocky, and not all that fun to ride. There are mileage markers every half mile along the improved section of the trail. Services are minimal to non-existent the entire length of this trail. 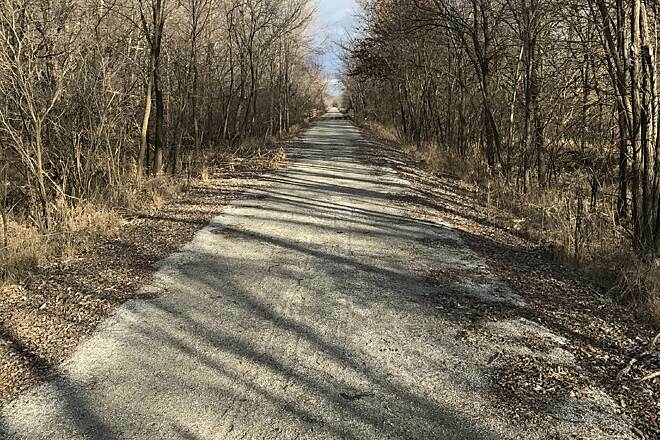 Rode this trail from Beatrice to Marysville, KS. 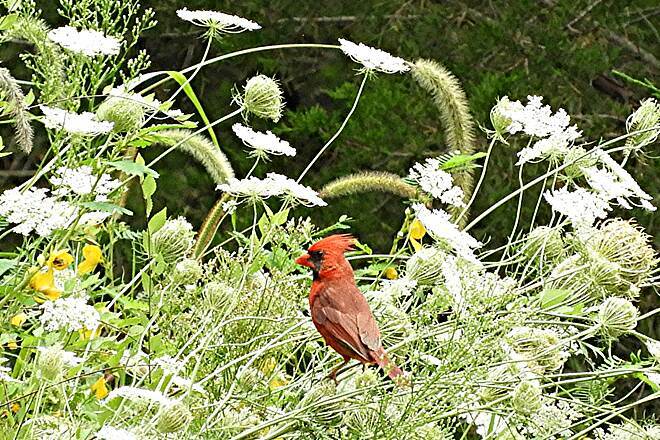 We enjoyed the wildflowers, birds, and other wildlife that crossed out path. 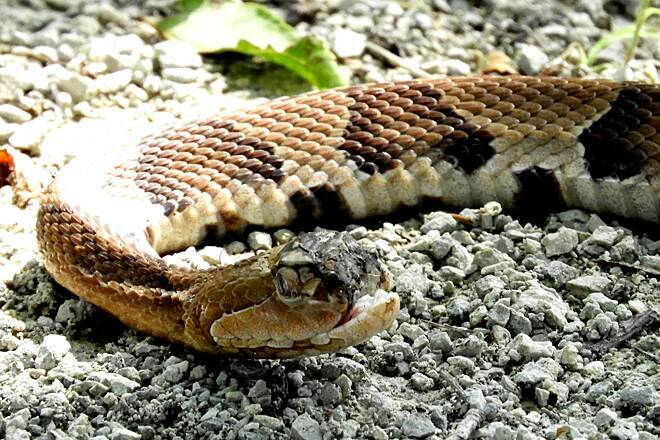 We saw Deer, snakes, and toads. 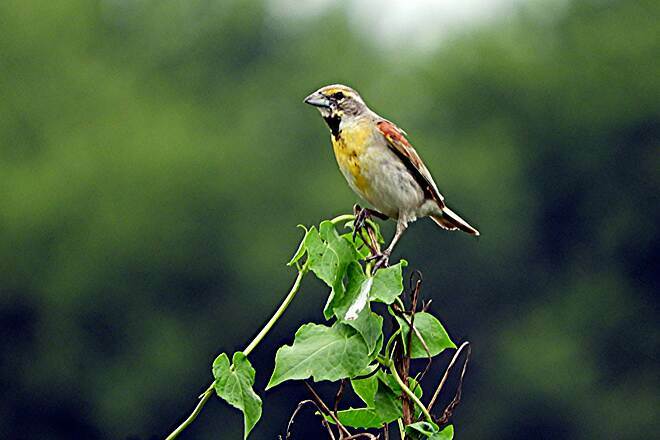 Plus lots of birds including: red-tailed hawks, blue birds, cardinals, orioles, turkey vultures, gold finches, and an owl (just to name a few). 1) First 3 miles from Beatrice are not finished and overgrown. Don't give up, it's worth it. 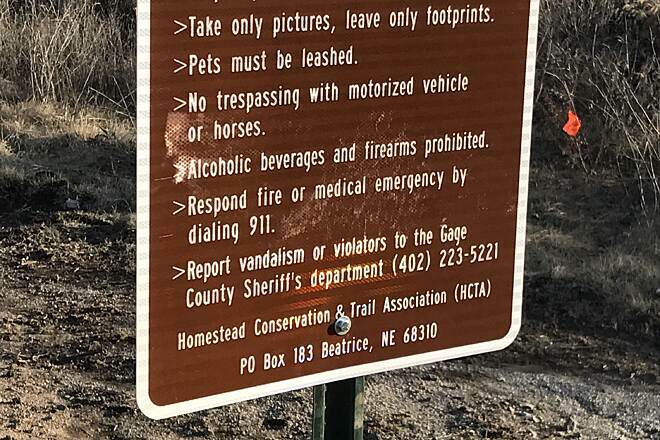 2) There is a trailhead/rest area in Barnston, NE that is not finsihed. There will be restrooms here, but they were locked. There is also a small paved portion of trail, but large logs blocking the ends of the paved portion. This will be a nice stop once finished. 3) There was a truck parked on a bridge a few miles outside of Barnston with men fishing from the bridge. It made it difficult to pass on the bridge. 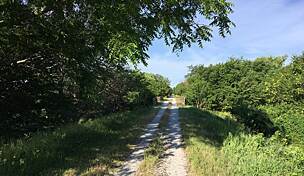 4) When we switched to the Blue River Rail Trail in KS, there were tractor tire imprints all through the limestone trail. I appreciate the effort to keep the overgrowth on the side of the trail in check, but it made for a very rough 11.5 miles. 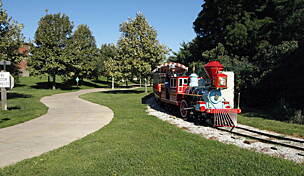 5) There are no restrooms or water fountains on the trail (except Barnston which is unfinished). Be prepared! 6) Once in Marysville, KS it's another 2 miles into town before reaching food/water/facilities. I explored more of the trail. I decided to drive to Holmesville and find the trailhead in this tiny town. Success! On day 1, I cycled 10 miles south to past Blue Springs. This is a five star section. Beautiful river views and a good smooth trail. Day 2, I started again in Holmesville and cycled north towards Beatrice. After just four miles the limestone trail ended and the trail became very rough and rocky. Watch out for two bridges with no railings. It is a passable trail. I went 2 miles north on the unfinished trail, past the high school and Road 33, turned around and cycled south again to Blue Springs and then back to Holmesville. Next trip, Blue Springs to Marysville. The parking area in Holmesville has been enlarged and a bathroom is coming soon. where is the trailhead in Beatrice? I was pleased to read the review of "the trail does not connect in Beatrice." I have searched for this trailhead in Beatrice two times and thought how dumb am I, I can't find the connection. I too found the Homestead Trail ended at the museum. I cycled here and there and couldn't find the trail. It would be nice to have a sign showing the way to the new trail or at least directions to other trailheads from highway 136. I am sure it is an awesome trail if I can just find it! I have cycled from the Marysville end to the NE border and it is lovely. 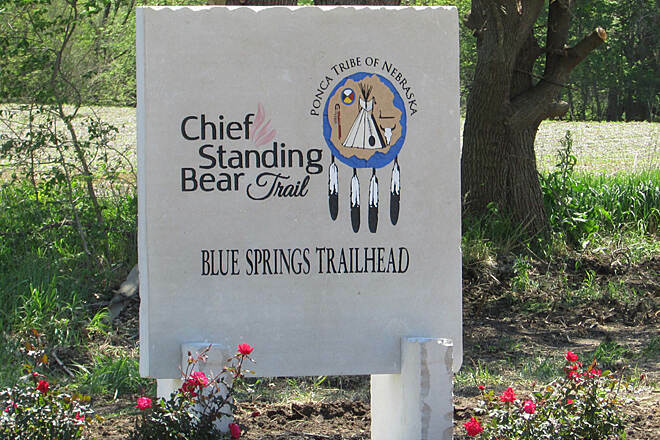 As of 3/13/2016, the Standing Bear Trail does NOT connect to the Homestead Trail. We parked at the trailhead at 2nd and Court in Beatrice, got on the Homestead trail and headed south. The trail ended in about 1/2 block. After conferring with locals, we continued on the undeveloped right of way and did find a trail after a few blocks. At this point, the trail is graded, but not surfaced; i.e., it's still dirt and railroad ballast--very rough. We arrived at the newly completed sections of the trail after about 4 miles. These 4 miles are not included in the description, so the total length of the trail is actually 23.5 miles, not the 19.5 miles listed in the description.